When your child is diagnosed with autism you think okay, I know what autism is–I’ve seen Rain Man and Big Bang Theory. I know “someone” whose child has autism. You start therapies and treatments, but living with autism cannot be explained by the doctors or therapists. Autism is more complex than I imagined. Bridget wasn’t the only one diagnosed with autism. It seems like the entire family has been diagnosed. It’s listening to the same snippet of Princess Sofia, over and over again until the music becomes a never ending loop in your head. It’s riding the elevator in the hotel, over and over again. It’s the sister whose heart cannot take the crying, so she sneaks into Bridget’s “new room” that Bridget hates and doesn’t understand why she cannot sleep “up there”. It’s eating the “pink” Pop-Tart, every morning and a mom hoping like hell that this special edition Pop-Tart won’t be changed. It’s driving with the car window down, even though it’s only 50 degrees outside because the child likes the wind in her face. It’s wearing a bun every day, because she doesn’t like the feel of the hair on her neck or face. It’s the dog that lays next to Bridget when she is upset, knowing his presence is the only thing that calms her. (Yes it appears autism even affects the dog). It’s the order of good night kisses: first Abby, then Dad, then the dog before mom puts her to bed. It’s only doing homework for Abby, but a temper tantrum if mom even mentions the word. It’s the meltdown because because mom is putting her on the bus, not dad as usual. It’s the obsession with food, from Devil Dogs to Fig Newtons. It’s having to have yogurt then Pirate Booty, right mom? It’s hearing the same question over and over again, when you really think to yourself remember when she didn’t speak and it was quiet? But seriously if you have to answer: Her sleeves go down, mom? For the 600th time today you might just pull your hair out. It’s not knowing how to explain that “New Hampshire” isn’t a campground but a State. It’s having people over to our house, rather than going to theirs because it is just easier. It’s knowing that going to the 99 Restaurant means pasta followed by an ice cream sandwich. It’s the routines that have been etched in stone, and you were not even aware of it. You do something twice, BAM! they’ve built a routine in their head and you have now disrupted their entire life. It’s realizing that the diagnosis of autism is truly a spectrum. 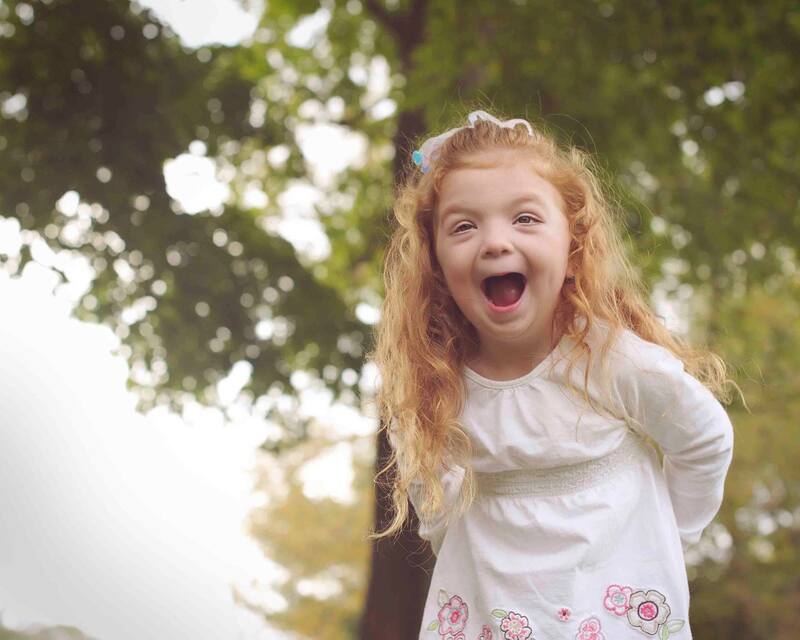 Bridget’s autism presents similar but different than other children. She is as unique as the puzzle piece that has become the symbol for autism. She fits differently, yet at the same time she fits our world. It’s understanding that we were once aware what autism is, but now we know what it means to live with a person who has autism. Some days it’s really difficult. Some days it’s really funny. But all days it’s a family thing.